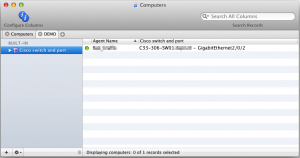 The script below can be used to show LLDP information on Absolute Manage for Mac OS X clients. 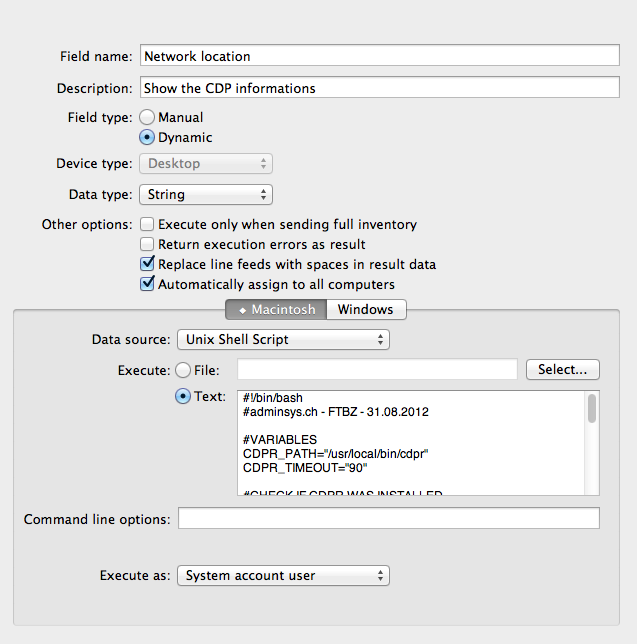 To make the script working, it’s necessary first to compile the OpenLLDP tool. This step is documented in another post on this blog. You can simply add this script to a new Custom Information Field in Absolute Manage and assign to all computers. /bin/echo "lldpneighbors is not installed on this computer." 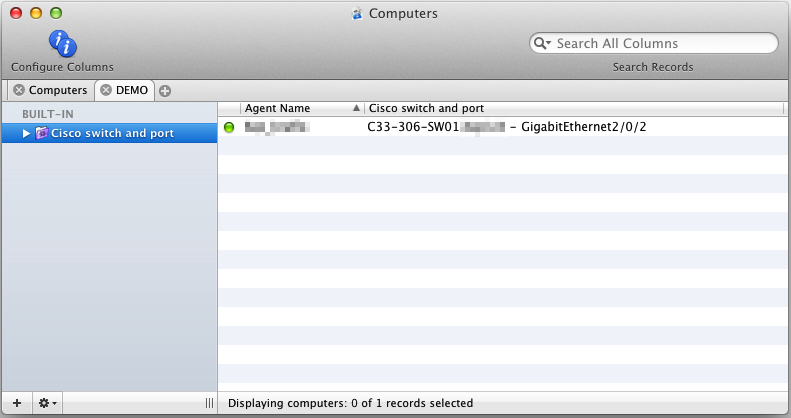 /bin/echo "Unable to determine the ethernet interface." /bin/echo "Unable to determine the IP address." /bin/echo "Unable to determine the network location." This script was tested only with Mac OS X 10.7 and OS X 10.8. 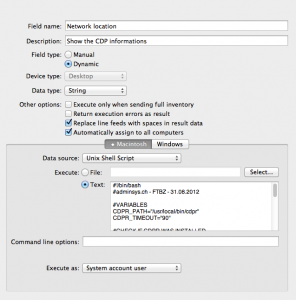 This entry was posted in Networks and tagged Absolute Manage, LLDP, Mac OS X, Script by Florent B.. Bookmark the permalink.